Lynda O’Dea & her daughter Christina are lifelong residents of Bethesda and Chevy Chase … and are proud to be among the top producers at Long & Foster’s highest producing office in Bethesda MD. They take great pride in working diligently to provide highly specialized services geared to each and every client’s unique situation. Their specialties include getting their listings high-visibility online exposure while providing complimentary home staging to make sure the property is beautifully presented for virtual tours and showings. Buyers benefit from their extensive knowledge of the Bethesda and Chevy Chase real estate markets, in-depth market analysis, use of technology to communicate and collaborate … along with the utmost in client service, discretion, professionalism & integrity. Lynda O’Dea* is the #1 top-producing Bethesda real estate agent with Long & Fosters’ #1 Bethesda Gateway office … the highest producing office in all of Long & Foster! Her Bethesda Gateway office is consistently ranked #1 in sales volume not only among all brokerages in the Bethesda area but throughout all of Montgomery County, MD and Washington D.C. Lynda focuses intensely on understanding her client’s needs, helping them find the best of Bethesda Homes for Sale to meet their requirements, and providing expert advice and information to help them effectively accomplish their buying and selling goals. With a unique combination of skills including marketing, technology and design … Lynda maximizes all available resources to make her clients informed and knowledgeable about the industry as it relates to their specific needs. For example, in today’s real estate market, most buyers and sellers are internet savvy, scouring the web for as much information as they can source to make intelligent decisions. Much of that information, however, is nationally generated, often lacking critical details. As a result, Lynda has invested extensively in finding and utilizing the most current technologies available to build the most comprehensive website about the local Bethesda real estate market, as well as Chevy Chase MD, Potomac MD and throughout the entire DC metro area, keeping clients up to date with important information, news and statistics. Creatively presenting properties for her selling clients is another area where Lynda excels using her marketing and design background combined with the most effective tools and techniques. Christina O’Dea is not only a real estate agent on the Legendary Homes team, but she is also a talented professional stager who excels at accessorizing client’s homes for photo shoots and showings. Lynda O’Dea has had the privilege of mentoring Christina in business as her real estate partner, and in life as her mother. Having worked together owning and operating an online retail store for several years prior to selling it … the duo has learned how to very efficiently manage and complement one another’s business and creative skillset while attending to the needs of our clients and associates. Christina and Lynda ensure that the demands of their clients are facilitated in a smooth and professional manner making the home buying and selling process an enjoyable experience. 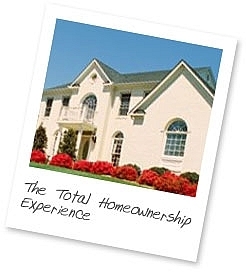 Long & Foster Real Estate is the largest realty company in the Mid-Atlantic region providing clients with the total home ownership experience including services that go beyond the exchange of real estate to providing mortgage, title, and homeowners insurance as well as settlement services. Founded in 1968, Long & Foster has grown from a single 600-square-foot office in Fairfax, Virginia, to one of the largest privately-owned real estate companies in America. Wes Foster began his real estate career in 1963 as a sales manager with a home builder and now has offices and over 20,000 sales associates in Virginia, Maryland, Washington, D.C., Pennsylvania, New Jersey, West Virginia, Delaware, and North Carolina. With sales of over $65.1 Billion, Long & Foster® Real Estate, Inc. sells thousands more homes, mortgages, insurance, and title insurance each year than its nearest competitor. Family-owned and operated, coupled with superior financial strength and stability, make Long Foster the real estate company of choice. Long & Foster has earned a reputation for integrity and professionalism by helping people honestly and fairly for over 39 years., enjoying a 97% Customer Satisfaction rating.